The film follows a motley crew of old-west gunmen, who band together to help save a village at the threat of savage thieves. The trailer below hits the mark in giving us enough detail about the style of the film and it looks pretty good. It looks like there’ll be plenty of action as expected, but also some humour as well which looks like it works well, in the trailer at least. 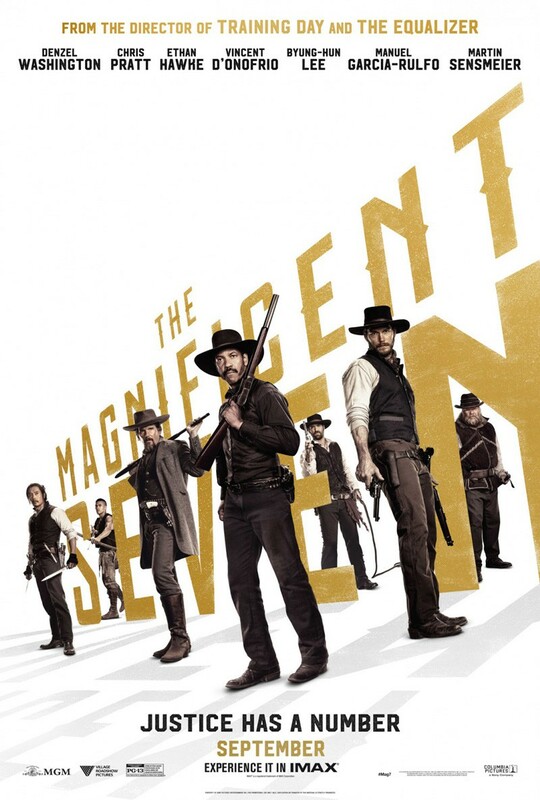 The upcoming The Magnificent Seven is a remake of 1960’s classic western film of the same name. These days when people hear the word ‘remake’, it often sends red flags flying, and sometimes rightfully so. I think we’re at a stage in the industry though, where we know Hollywood will keep remaking classic films and that we’ll just need to accept it and hope they do the originals justice, but also provide us with good entertainment – because there’s nothing worse than a bad remake. It also has a renowned director in Antoine Fuqua, who’s worked with Denzel Washington before in his films Training Day and The Equalizer. It’s due for release on 23 September 2016 in the USA.